Bringing found images or objects together is central to American artist-curator Brion Nuda Rosch’s approach. The result is work that plays with history, landscape and the monumental, as in this piece, created exclusively for Dazed "In this collage work, two sculptures by Picasso form an infinite clock. The collage is framed with a small motor mounted between the wall and the frame. The frame spins in a clockwise direction. Any time, all the time, postmodern time. In relation to history and current ideologies, my intentions are rather reactionary. A fine balance exists between knowledge and a well-calculated kneejerk reaction. Whether making a collage, arranging materials or collaborating with others, the immediate task and material at hand claim the most importance. I have a preference for mundane materials – found book pages, wood, drywall, unfired clay and recycled house-paint – matched with a process of slight or humble alterations." 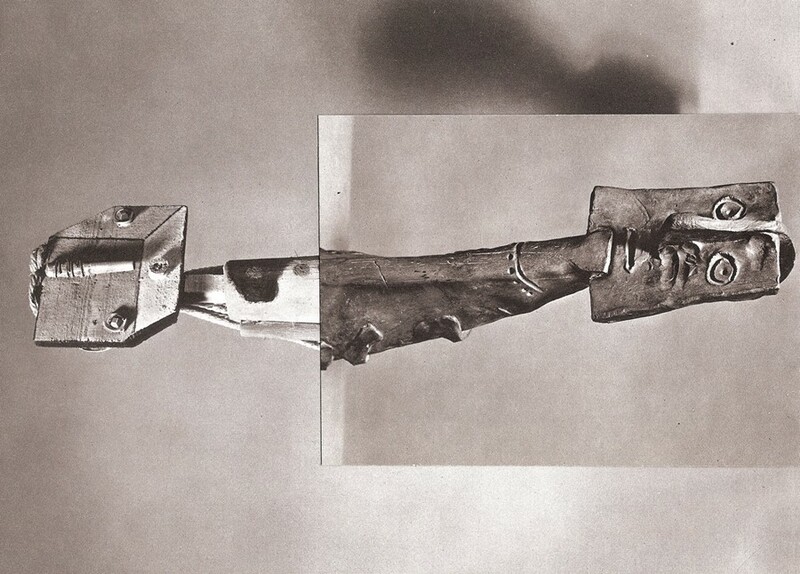 Brion Nuda Rosch is showing at DCKT Contemporary, New York, until March 10.